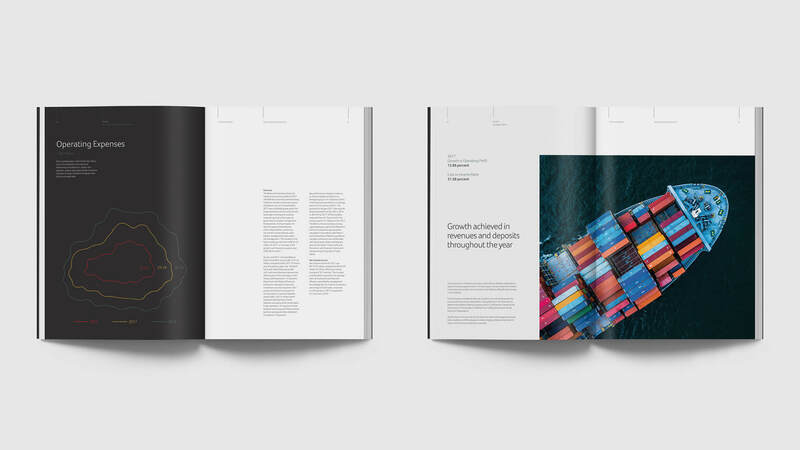 The brief was to design a book of financials that did not follow the previous year’s reports in terms of design and layout. A consolidated report that gives out the impression of being a coffee table book, contemporary yet corporate. The concept was based around Bahrain’s maritime and pearling heritage. 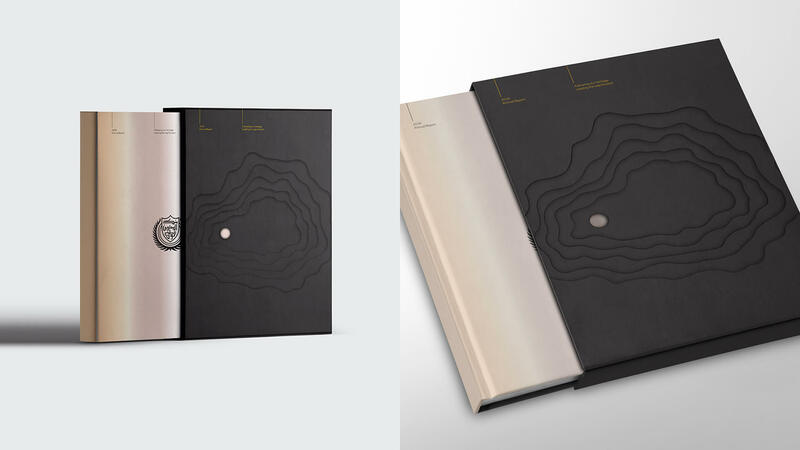 A hard bound cover and slip case featuring a uniquely layered oyster shell contour with a die cut hole showing the pearlescent cover underneath along with bespoke finishes and quality materials.